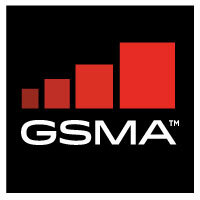 Mobile operators taking part in the GSMA’s Mobile IoT Summit this week were bullish about the segment, but acknowledged that the pace of growth has been slower than expected and more work needs to be done to drive what has become a strategic business area. Lory Thorpe, head of IoT innovation at Vodafone Group, said mobile IoT has allowed the company to address vertical sectors in a way it has not been able to before. Vodafone launched its first Narrowband-IoT (NB-IoT) network two years ago, and has now just launched its 13th, Thorpe said. She believes that the progress to date confirms that the group was right to follow this path. At the same time, Thorpe stressed that more remains to be done to reach the potential of both NB-IoT and LTE-M, by scaling up services in the next phase. She added that while Vodafone has focused on NB-IoT initially, it is also working on LTE-M as a complementary technology. Mobile IoT was born out of a requirement to improve network coverage for all manner of devices and reduce power consumption, with the promise of batteries that would last at least ten years. Andres Padilla, global IoT new business senior director at Telefonica, said it is too early to tell whether the promise of improved battery life has been met because nothing has been in the field that long, but the operator is confident batteries will last ten years or more. Steve Szabo, global head of global products and solutions, IoT at Verizon, pointed out that the subject of battery life requires further exploration, as it’s still not clear how devices will be affected by how much data is sent by users. Szabo added that LTE-M remains a core technology for Verizon and is a stepping-stone to 5G, but the operator needs time to expand the use of the technology and meet demands.